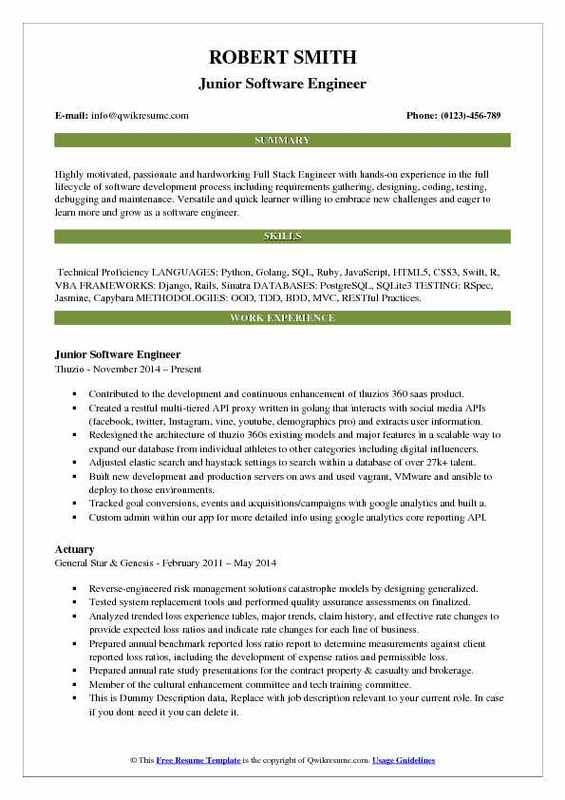 A Junior Software Engineer assists in the development, implementation, and management of software solutions. 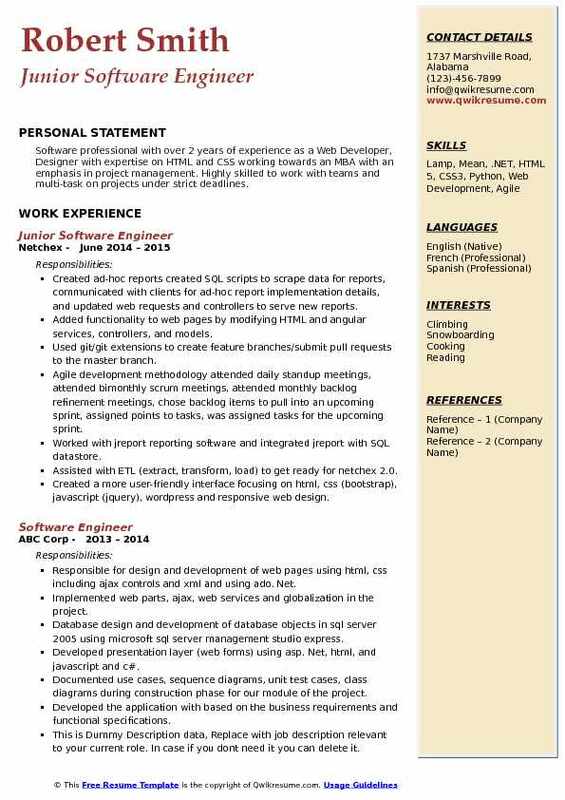 Some of the job duties commonly seen on a Junior Software Engineer Resume are the ability to code, test, implement, and maintain software, analyze changes, and also assist in the design of software applications. Some of the other responsibilities include: supporting the technical design team with ideas, strategies, and concepts, participating in testing and documentation, identifying and reporting disruptions in the software processes to the lead software engineer, etc. To start your career as a Junior Software Engineer, you must possess good programming skills, have a fundamental idea about software development, stay in trend with current affairs in the field of software, and have a flair for testing and documentation. The educational qualification expected for this role is a Bachelor’s Degree in Computer Science or Engineering or Information Technology. Developing and creating PHP MySQL applications as per the specifications. Designed, developed, coded, tested and debugged system requirements for the purpose of conversions and development projects. Performed other related tasks under the instructions of a senior PHP programmer. Implemented, prepared, executed and installed support to assure quality system changes. Writing, testing, and debugging code and help the websites operate flawlessly. A medical project developed for local hospitals where the doctors can keep track of patients medical records and send prescriptions directly to local pharmacies. Patients are also able to create their own profile and check doctors availability. Srp (school resource planning): developed an interactive database for schools to maintain records of the students and teachers. Srp enhances communication between teacher, parents, and students. It provides a platform for teachers to create exam papers, homework, and correct them online while at home. In addition, this makes it easy for teachers and parents to monitor the progress of students. 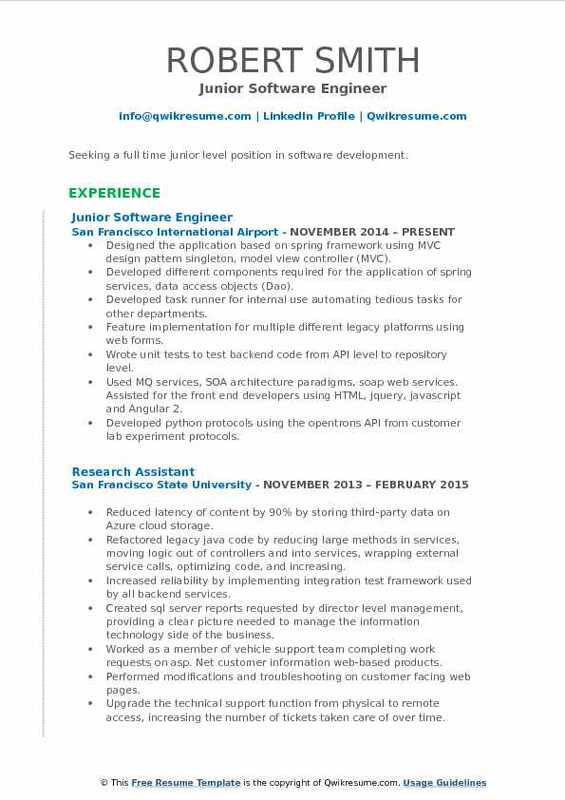 Objective : Innovative Software Engineer offering dedication in cutting-edge technology. Exceptional Problem Solver, able to analyze code and engineer well-researched solutions. Adapts quickly, superior capacity of understanding new concepts and applying them correctly. Work closely with the design team to provide responsive UI for the knetic platform and client projects. Work closely with Sr. Software engineers, project managers, and QA team to implement core components of a nodejs trivia server. Streamline workflow with Gruntjs task runner for local development for the team and environment deployments. Implement core features such as gameplay, achievements, friend requests, chat messaging, and payment systems. Implement data-driven forms and custom bower components for Angularjs projects. Spearheaded the selenium test suite development using java, selenium, selenium grid, ant, and testing. Integrated into a continuous integration Jenkins server that reported results and screenshots to project managers. Regularly provided team members with code reviews for GitHub pull requests. Headline : Highly motivated, passionate and hardworking Full Stack Engineer with hands-on experience in the full lifecycle of software development process including requirements gathering, designing, coding, testing, debugging and maintenance. 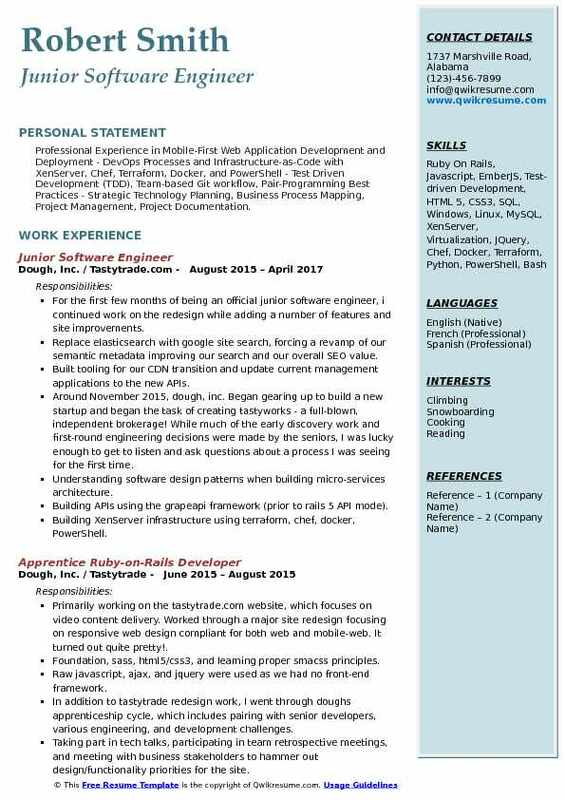 Versatile and quick learner willing to embrace new challenges and eager to learn more and grow as a software engineer. Contributed to the development and continuous enhancement of thuzios 360 saas product. Created a restful multi-tiered API proxy written in golang that interacts with social media APIs (facebook, twitter, Instagram, vine, youtube, demographics pro) and extracts user information. Redesigned the architecture of thuzio 360s existing models and major features in a scalable way to expand our database from individual athletes to other categories including digital influencers. Adjusted elastic search and haystack settings to search within a database of over 27k+ talent. Built new development and production servers on aws and used vagrant, VMware and ansible to deploy to those environments. Tracked goal conversions, events and acquisitions/campaigns with google analytics and built a. Custom admin within our app for more detailed info using google analytics core reporting API. Created custom reports on our database using SQL for account managers and research team. 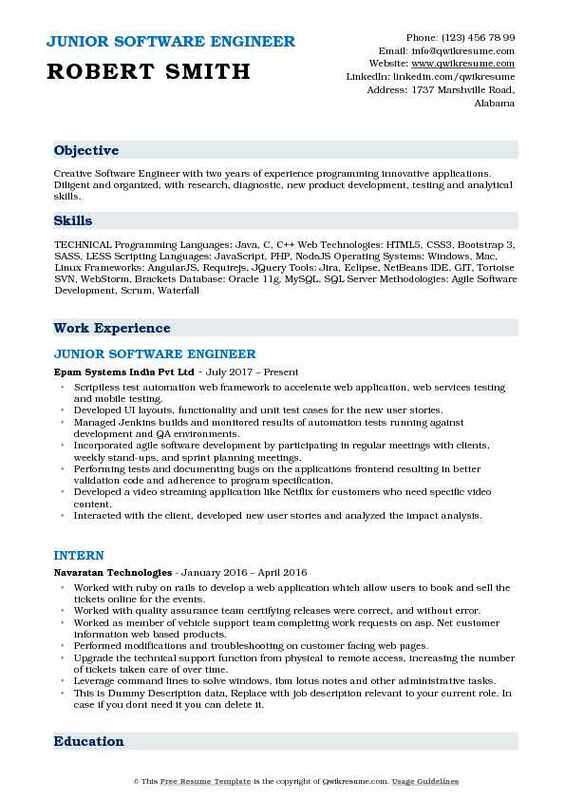 Objective : Seeking a full time junior level position in software development. Designed the application based on spring framework using MVC design pattern singleton, model view controller (MVC). Developed different components required for the application of spring services, data access objects (Dao). Developed task runner for internal use automating tedious tasks for other departments. Feature implementation for multiple different legacy platforms using web forms. Wrote unit tests to test backend code from API level to repository level. Developed python protocols using the opentrons API from customer lab experiment protocols. 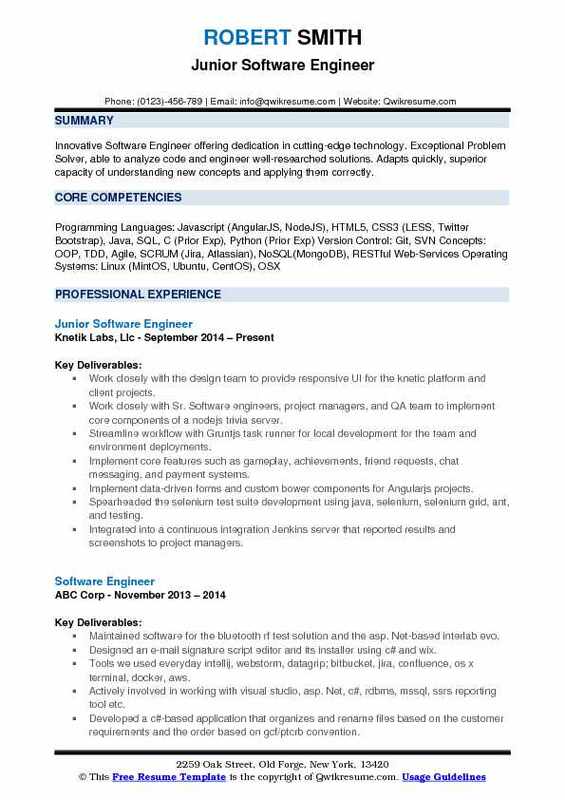 Objective : Professional Experience in Mobile-First Web Application Development and Deployment - DevOps Processes and Infrastructure-as-Code with XenServer, Chef, Terraform, Docker, and PowerShell - Test Driven Development (TDD), Team-based Git workflow, Pair-Programming Best Practices - Strategic Technology Planning, Business Process Mapping, Project Management, Project Documentation. For the first few months of being an official junior software engineer, i continued work on the redesign while adding a number of features and site improvements. Replace elasticsearch with google site search, forcing a revamp of our semantic metadata improving our search and our overall SEO value. Built tooling for our CDN transition and update current management applications to the new APIs. Around November 2015, dough, inc. Began gearing up to build a new startup and began the task of creating tastyworks - a full-blown, independent brokerage! While much of the early discovery work and first-round engineering decisions were made by the seniors, I was lucky enough to get to listen and ask questions about a process I was seeing for the first time. Understanding software design patterns when building micro-services architecture. Building APIs using the grapeapi framework (prior to rails 5 API mode). Building XenServer infrastructure using terraform, chef, docker, PowerShell. Citrix xendesktop virtual desktop infrastructure (vdi) implementation, deployment, and management. Objective : Creative Software Engineer with two years of experience programming innovative applications. Diligent and organized, with research, diagnostic, new product development, testing and analytical skills. Scriptless test automation web framework to accelerate web application, web services testing and mobile testing. Developed UI layouts, functionality and unit test cases for the new user stories. Managed Jenkins builds and monitored results of automation tests running against development and QA environments. Incorporated agile software development by participating in regular meetings with clients, weekly stand-ups, and sprint planning meetings. Performing tests and documenting bugs on the applications frontend resulting in better validation code and adherence to program specification. Developed a video streaming application like Netflix for customers who need specific video content. Interacted with the client, developed new user stories and analyzed the impact analysis. 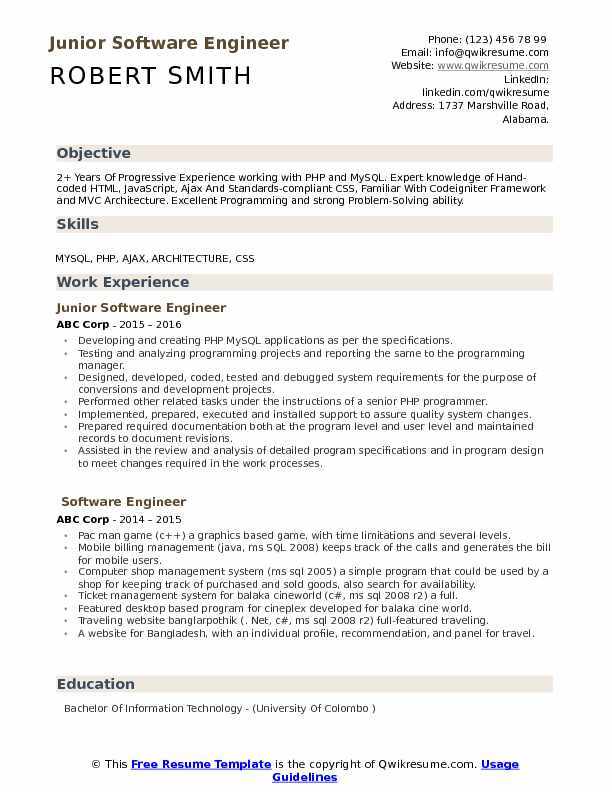 Objective : More than two years of professional experience in software development, databases and web designing. Diligent and highly motivated with exceptional communication skills. Celerity is a social networking site which allows higher authorities to view both, professional and personal information of employees. Understood the software development lifecycle and was involved in requirement gathering, analysis, design, coding, and testing. Developed the front end using java and the back end in SQL using MySQL and eclipse as tools and struts framework. Performed unit testing and system integration testing of the developed code product. Packaged the developed component to be deployed on different JVMs i. E dev, stage, and production environment. Implemented features for the platforms ember migration project in order to provide parity with the current platform webapp. Worked with dev ops team creating an entire book of documentation used to train programming groups how to move releases to production. Worked with quality assurance team certifying releases were correct and without error. Wrote end-to-end unit tests that provided coverage for controllers, services, and models. 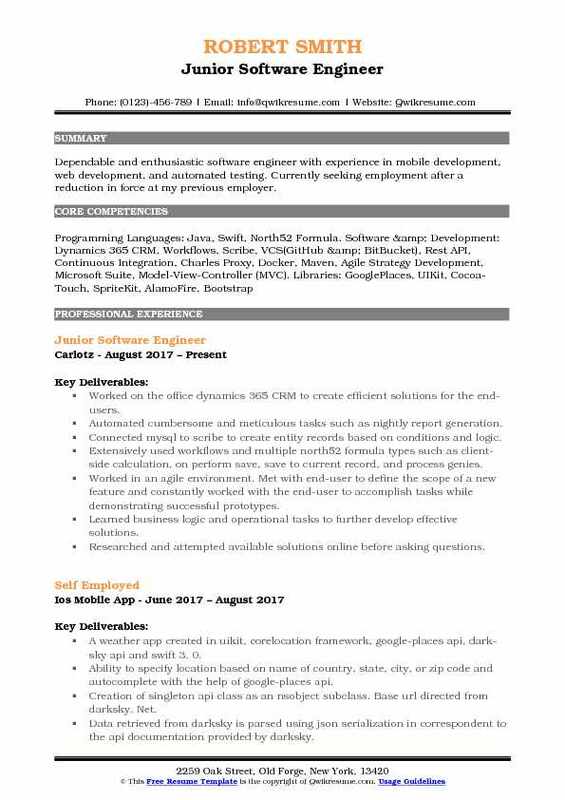 Objective : Dependable and enthusiastic software engineer with experience in mobile development, web development, and automated testing. Currently seeking employment after a reduction in force at my previous employer. Worked on the office dynamics 365 CRM to create efficient solutions for the end-users. Automated cumbersome and meticulous tasks such as nightly report generation. Connected mysql to scribe to create entity records based on conditions and logic. Extensively used workflows and multiple north52 formula types such as client-side calculation, on perform save, save to current record, and process genies. Worked in an agile environment. Met with end-user to define the scope of a new feature and constantly worked with the end-user to accomplish tasks while demonstrating successful prototypes. Learned business logic and operational tasks to further develop effective solutions. Researched and attempted available solutions online before asking questions. 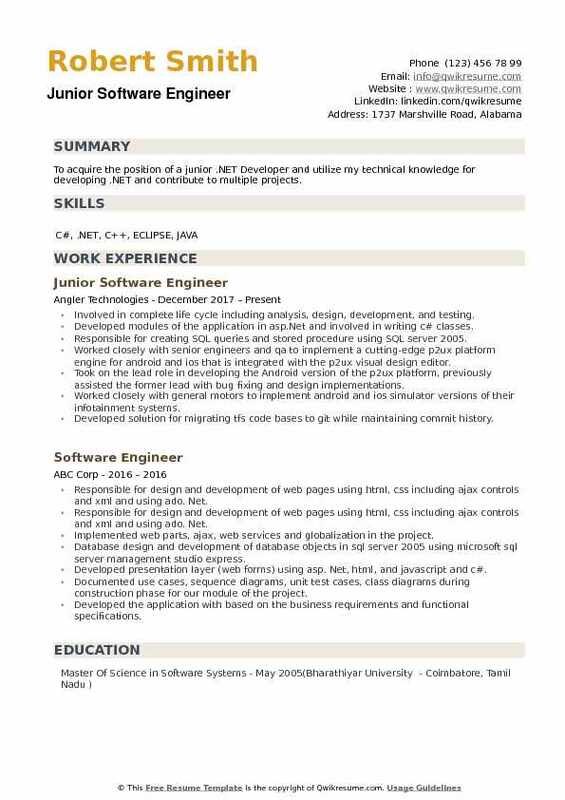 Objective : Software professional with over 2 years of experience as a Web Developer, Designer with expertise on HTML and CSS working towards an MBA with an emphasis in project management. Highly skilled to work with teams and multi-task on projects under strict deadlines. Created ad-hoc reports: created SQL scripts to scrape data for reports, communicated with clients for ad-hoc report implementation details, and updated web requests and controllers to serve new reports. Added functionality to web pages by modifying HTML and angular services, controllers, and models. Used git/git extensions to create feature branches/submit pull requests to the master branch. Agile development methodology: attended daily standup meetings, attended bimonthly scrum meetings, attended monthly backlog refinement meetings, chose backlog items to pull into an upcoming sprint, assigned points to tasks, was assigned tasks for the upcoming sprint. Worked with jreport reporting software and integrated jreport with SQL datastore. Assisted with ETL (extract, transform, load) to get ready for netchex 2.0. 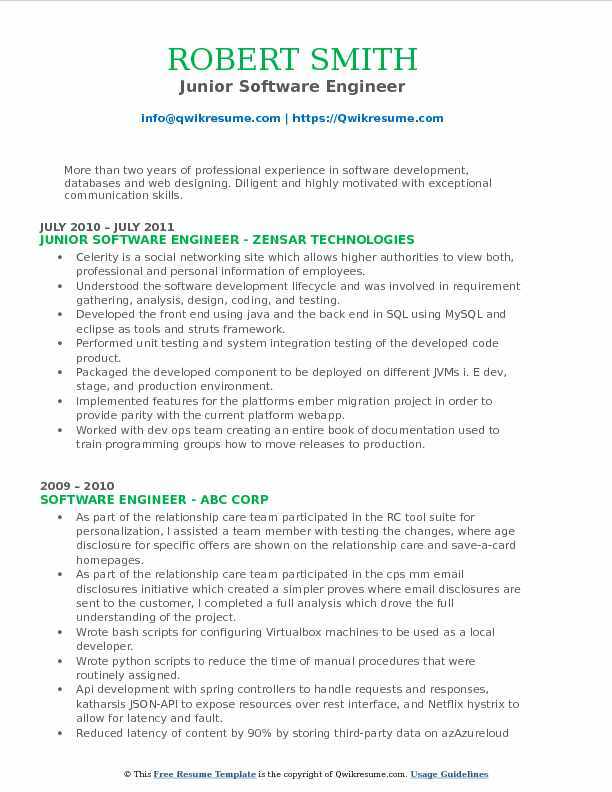 Objective : To acquire the position of a junior .NET Developer and utilize my technical knowledge for developing .NET and contribute to multiple projects. Involved in complete life cycle including analysis, design, development, and testing. Developed modules of the application in asp.Net and involved in writing c# classes. Responsible for creating SQL queries and stored procedure using SQL server 2005. Worked closely with senior engineers and qa to implement a cutting-edge p2ux platform engine for android and ios that is integrated with the p2ux visual design editor. Took on the lead role in developing the Android version of the p2ux platform, previously assisted the former lead with bug fixing and design implementations. Worked closely with general motors to implement android and ios simulator versions of their infotainment systems. Developed solution for migrating tfs code bases to git while maintaining commit history. Developed various internal tools using cutting edge technology including angular 2 and .Net core web API.